At Home with Montessori: "Get out of my Room!" 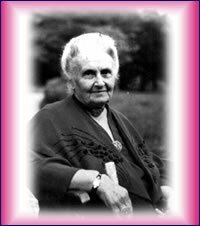 I haven't blogged about the meaning behind Montessori's Planes of Development yet I know I have wibbled about them from a personal perspective, so I thought it was about time to set the record straight and explain, as best I can, what she meant. Montessori saw the growth of the child to the flourishment of the man, to be split into four main stages: Stage one, for which many of us in the UK have most recognition, is the time she called 'The Absorbent Mind'. This period of the child, she explained, was a time whereupon the child is like a sponge. The mind absorbs all that is put around them, hence the title (she was a clever woman ;-)! She also frequently referred to this period as the Embryonic period. Yup, just like we call a developing baby in the womb, an embryo, she wisely saw that the child does so much development and learning outside the womb in those first six years, that they still require the title 'Embryonic'. She further subdivided this stage into two: The Spiritual embryonic period from ages 0 - 3years and the Social embryonic period from ages 3 - 6 years. I will go into these in more depth on another occasion. From Stage one, the child moved into Stage Two, referred to as "Childhood" (okay, so she wasn't quite so inventive with the title - got a bit Ronseal!). Childhood sees the child develop from 6 - 12. It's the period in the UK whereupon the child is in primary school, or elementary in the US. The child moves from the concrete to the abstract in reasoning and the period is a time of relative calm within the child. Stage three is Adolescence and once again, she further subdivides. The first period of adolescence is 12 - 15 years and she calls this Puberty. It is a period of disquiet once again as the child begins to test boundaries and has a plethora of hormones that can create mood swings and lapses of normal concentration. In fact, she likens this period to the toddler years due to the apparent 'tantrums'. This explains why my 12 year old has come home from school on at least two occasions, without his school shoes! The second subdivision of this stage is from 15 - 18 years and Montessori called this Adolescence. She noted that the adolescent was impressionable and full of ideas. They may 'attach' to good causes (or what are good causes in their eyes). The drive for independence at this age is as strong as it is at ages 0 - 6. Most interestingly I discovered, was that she writes that it is an age whereupon children meet most resistance and from that resistance they can gain a flight into fantasy reaction. So it can be a cause of turning to obsessive video game culture or the need to dress like a particular pop star or idol. So where we see children becoming insular or more interested in fantasy than reality and we say 'it's just a teen thing' or 'typical teenagers', maybe it is cause and effect rather than a genetic pre-programming towards video games and unsuitably clothing or behaviours. The environment becomes less prepared for them in a time when it needs to be AS prepared as it was when they were in that first stage. The more you read about this period, the more fascinating it becomes. The 'Erdkinder' was a product of her desire to provide the correct type of environment for these young people to enable them to feel empowered and unpressurised. The Erdkinder is built on her realisation that a child needs to develop 'life skills' and that these may be best achieved away from the home on a farm or similar. Ironically in the 21st century, this period is when they are are their most vulnerable, feel under most pressure and yet society has chosen this age to be the best age to add to that pressure by creating GCSE and A level exams at the 15 - 18 age! I am going to write another blog post on the Erdkinder at a later date, but for now, feast your eyes on the Hershey school in Ohio! Stage Four was Maturity from 18 - 24 years. So; we are moving from a period of relative calm in our house whereupon we have had, for the first time, all three children in the same plane of development and, from an observation perspective, it has been exactly that, relatively calm. The younger one is now able to be sociable with the older two, the older one is able to play with them, or remove himself if he doesn't wish to join in and the middle one is happy there is a sibling either side and doesn't seem to mind which way he goes! However, we are closing the door on that chapter and already I am beginning to see elements of change. The oldest is now at secondary school in the UK. He is more tearful than he has been. He is more aware of himself and his place within his peer group. He has mentioned his looks on more than one occasion. One of the things we are beginning to feel we need to find boundaries for is the respect for personal space. They have been fairly easy going and tolerant upto now about visitors to their rooms, however, the eldest is at a point where he wants some downtime away from his siblings and, also doesn't want to return home to find he has been visited by a magpie! So last night we had a small family conference on the top of the stairs after an altercation resulting from this exact problem. I was racking my brains as to how I could deal with this in a positive light and ensure that they were heard and were able to form their own solution to the problem. I gave them floor space each to put forward this point and from this they needed to democratically decide how to approach this and what the boundaries were for going in and out of each others' rooms. The result was, for now at least, calm and harmony. Tonight they are going to make each other a door poster that state the 'rules' that need to be observed for privacy. Independence = Liberty = Discipline at whatever stage of development. I am gradually learning what my 'job' is as an adult of growing boys/girls, how it is not so very dissimilar to having a 3 year old. I still need to set prepare the environment in order for them to carry out the task and achieve independence, in this instant my role was to prepare the forum for them to discuss and to facilitate their plan.